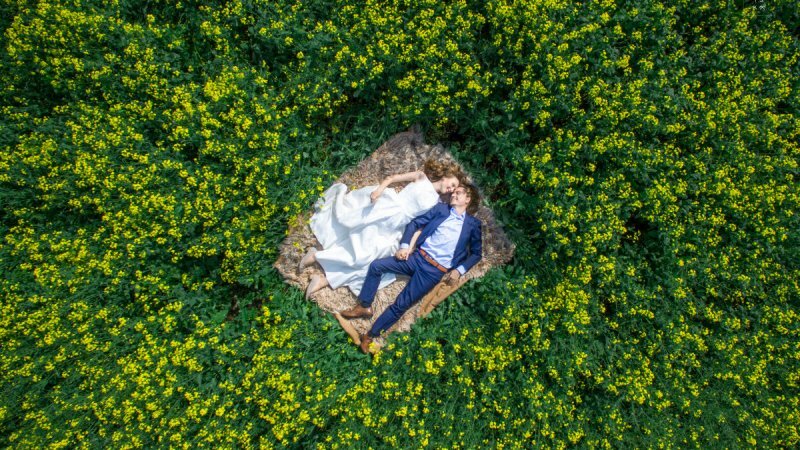 With the rising popularity of aerial photography, more and more soon-to-be newlyweds are considering capturing their big day’s moments via drones. 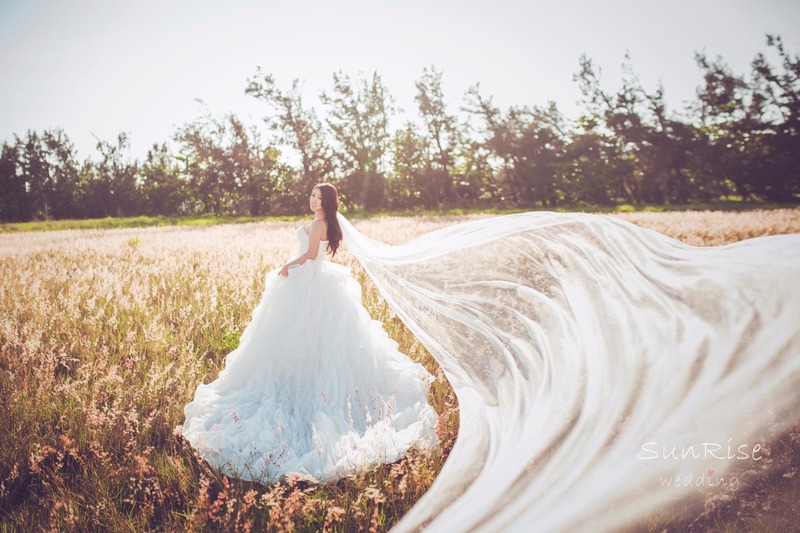 The advantages of using drones for wedding photography are numerous as drones offer a truly unique perspective on weddings that traditional photography just can’t deliver. It can also save you an arm and a leg, as you won’t have any need for an eye-wateringly expensive helicopter or a professional camera crew to capture stunning aerial shots. Also, it leaves you much more space to be creative with wedding shots. Furthermore, most DJI drones, for example the Mavic Pro or Phantom 4 Pro, can shoot in RAW format which retains more details than JPEGs and makes your photos more appealing. Last but not least, drones add unexpected entertainment to the wedding. 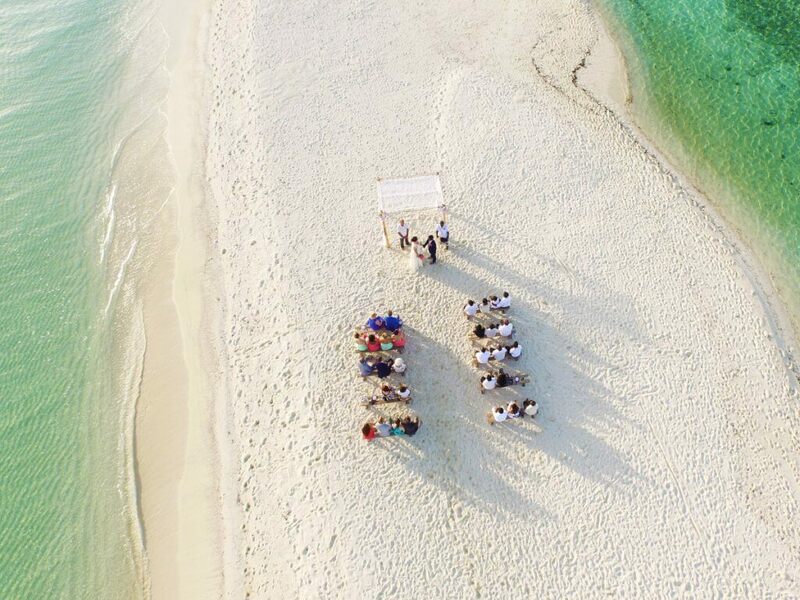 The wedding photo below is an example of how drones offer a unique interactive experience for guests. Are you interested in using your drone for wedding photography? These simple tips will help you be prepared and successfully capture cinematic aerial wedding shots. It’s worth your time researching specific drone laws and regulations in venue’s area. For instance, drones are banned from flying near sensitive locations such as national parks, military bases and power plants. If the wedding venue happens to be in a restricted zone, you’ll have to cancel flight. So plan ahead by checking the law. Here you can read more about drone laws and regulations. Also, some wedding venues might not allow drones for privacy reasons, especially when there are private properties around. Be aware of privacy concerns and make sure to ask for permission. Ideal locations for drone wedding photography are open outdoor areas such as parks, countrysides, churchyards, and islands. 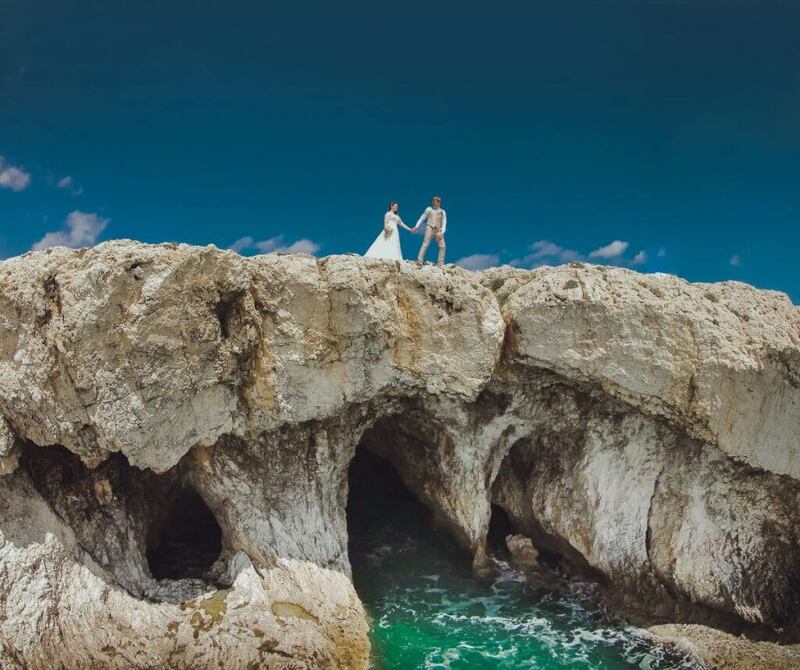 They are not only drone-friendly but also appear as a great background for breathtaking wedding photos. 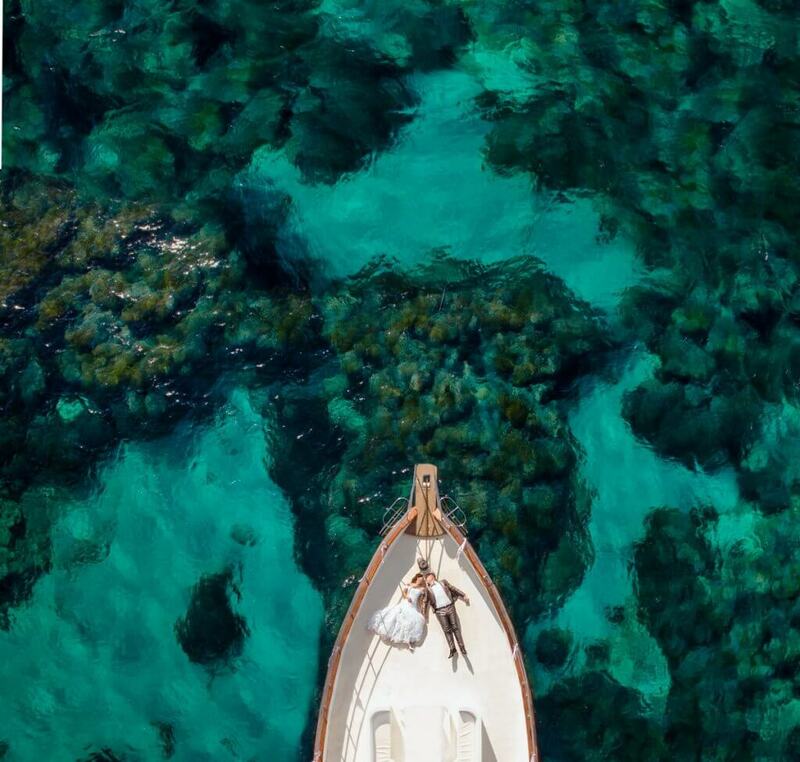 As a wedding photographer, Helene told DJI that she likes how the couple is surrounded by nature, for “it’s the time when you feel they are alone, just the two of them.” You can feel the charm of aerial wedding photography from the video below, in which Helene teamed up with a Phantom pilot in Tahiti. It takes time to set up aerial shots. You not only need to balance your aerial shooting goals within the constraints of a busy wedding day but also need to have enough knowledge about the location prior to the shoot. It’s a good idea to check the map of the location to look for possible flight paths and identify your shoot goals. Additionally, reviewing your preflight checklist and taking precautions to avoid flyaways are essential for a successful flight. You may also want to buy extra batteries so that you can have a longer flight time to explore creative options. Fly at different altitudes to look for best shots. Take advantage of the surroundings, see it as a canvas and position your subject in it creatively. You can flip the perspective by asking your subjects to lay on the ground and strike a pose. 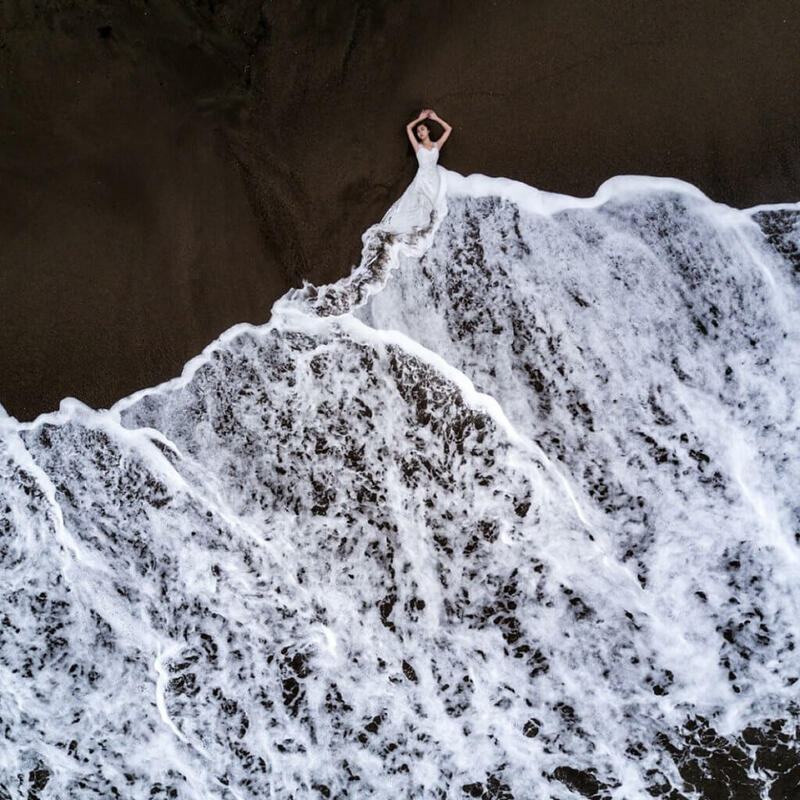 For example, this drone wedding shot below perfectly captured the ocean in motion by increasing the shutter speed and thus made this bride a unique wave dress. What about the wedding guests? The good thing about drones is that it can fly up high and include everyone in the frame. We mentioned in the beginning that you can invite all the guests to make shapes for aerial shots. If the scenery is good, why not take a high-angle shot during the ceremony and make the moment unforgettable for everyone? Also, don’t forget to try different angles besides high-angles. You can shoot from below off of a cliff face, like in the picture below. Additionally, you need to mind tricky lighting situations. Familiarize yourself with how to adjust your camera settings and use different photo modes, so that your creations will come out the way you want. 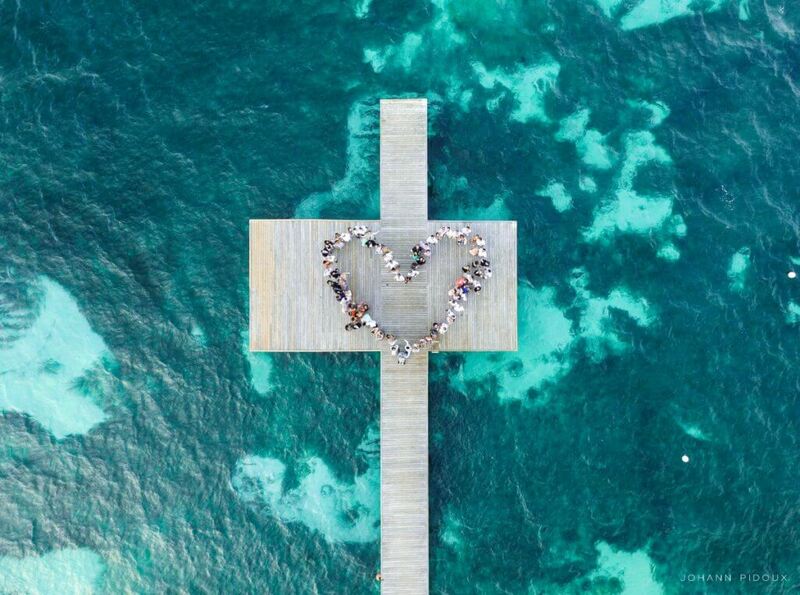 Ready to jump on the growing trend of drone wedding photos? Don’t forget to share your spectacular wedding shots with us here! they look so sweet, don&apos;t they? 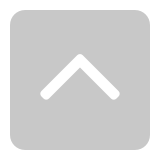 Top post! My only regret from my wedding is that we had no drone shots but it was a while ago now! For all of the restrictions that DJI has imposed upon us you are promoting flying over people. Flying over people is not allowed. Nice idea , however my drone makes a lot of noise and wind at low altitudes. Stunning pictures and nice tips! Great! Cool shots! In response to the #6 comment, these shots would be great too at angles so no one is being flown over. 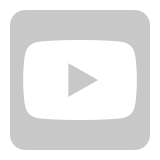 awesome thanks, will be filming a wedding in Sept. Very useful! I dont see any pictures ? There are so many wonderful pics here! Could you change your browser and try it again? Fantastic tips with mind blowing photos. You are welcome! Hope that it would help. Thanks for the tips, it&apos;s so beautiful. 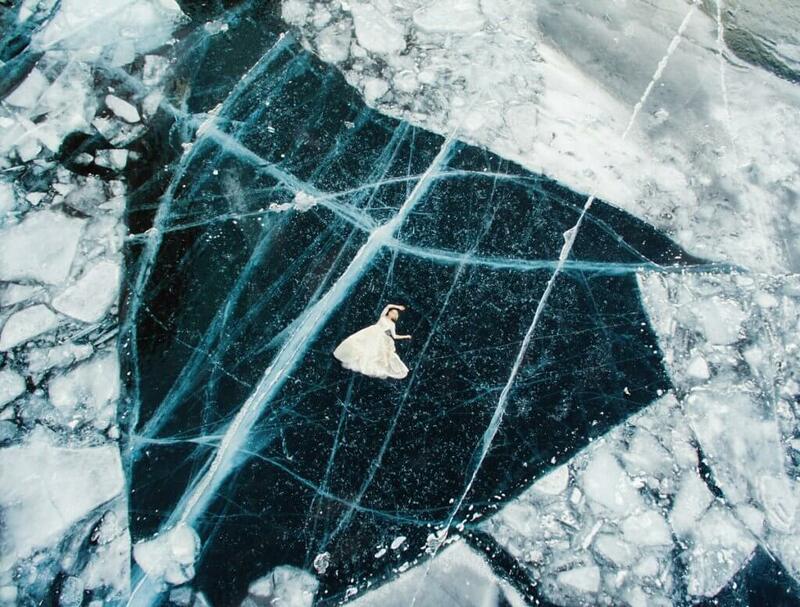 Now I want an aerial shot on my wedding day. You have beautiful creation, I love it. Awesome information! I was breaking into weddings, although outside, the guests said the drone was quiet, but too loud for a wedding. The couple still wanted the droning to continue. My friend just got a drone to take pictures and it is so fun to see things from that different angle. He loved taking pictures of the ocean and the coastline. I like your tip and I’ll have to suggest that to him. Thanks for sharing these great tips! Thanks for the tips and allowing us to see your talent in these shots. I was a still camera wedding photographer for many years. I know the difficulties that can arise during a wedding shoot. Aerial photography is another new frontier that I think all of us drone owners are wanting to get better at. Thanks for the great post and keep up the good work. Great post and awesome reference pictures but, I think one of your tips should include a thought about the noise. Drones are fantastic, they are however, far from quiet. Even my smaller quieter Spark can still be heard at 100 ft in the air. Just one more thing to consider before taking flight during the actual ceremony. Magic photos! I love the sea, this is my dream - visiting ceremony on the beach) but our photographer with https://taraweddings.ca dissuaded us. He says that now the season of storms and photos won&apos;t be like I saw here. What lovely photos, I already have eyes watering, as soon as I think of such touching moments. On the eve of us, too, was a wedding, I will not forget this day when, it was still bright, of course we did not do without http://www.weddingforward.com/wedding-save-the-dates/ , they just made our evening.